One of every two Syrians has a story of displacement to tell. Half the population has been pushed by the relentless war out of their homes to safer, quieter locations. But for many of these people, safety doesn’t mean an end to their woes. Before the war, Kousay* , 14, lived with his family in Rural Idlib. For the past three years, he has been staying with relatives in Salamiyah, in Rural Hama. “My father was a butcher. Now he is out of work. So I had to leave school and find a job,” said the young boy, who earns about $35 per month working in a car repair shop, and is the sole breadwinner of the family. Salamiyah, located 33 kilometers southeast of the city of Hama, had a population of 150,000 before the conflict. With Syrians displaced from Homs, Rural Hama and other areas, the city now hosts three times that many people. East Salamiyah city gets its water from the Al-Qantara pumping station, which is situated in the west of the city and is under control of armed groups. This pumping station has been in a conflict area since 2013, and the water has been cut off frequently by conflict parties controlling the area. 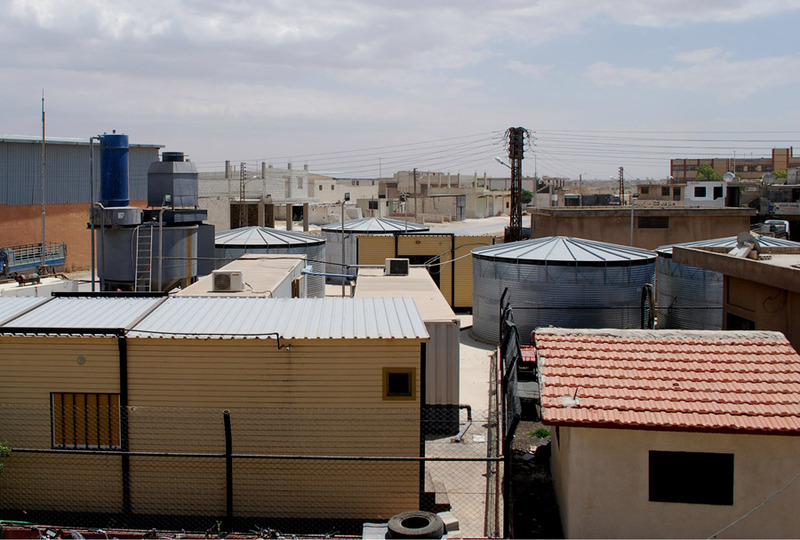 According to the Salamiyah municipality, the water was deliberately cut off from the main source 24 times during the last 6-8 months, forcing people to rely on water trucked to the area as the only other source was a few boreholes containing unusable sulfurous water. To alleviate water shortages, Oxfam installed in June 2015 a water treatment unit on one of the boreholes using a Reverse Osmosis system to provide safe drinking water for an estimated 35,000 residents in East Salamiyah, including almost a third who had been internally displaced. The Reverse Osmosis system removes the hydrogen sulfide gas, the bad smell, and the solids from the water to produce clean drinking water to be pumped to the city's main water reservoir. While the conflict raged on, it was important for this project to be sustainable, in order to guarantee the water flow. In June 2017, Oxfam provided the local water establishment with equipment such as spare parts, and pipes, to be able to maintain the unit. The main aim was to improve people’s access to safe and adequate drinking water. The system can operate up to 20 hours per day, providing 50,000 liters of water per hour depending on the available electricity and fuel. With their limited income, Kousay’s family of five people used to buy water from private water tanking at SYP 1,500/ $3 per 1M3 = 1,000 L once per week to avoid the undrinkable sulfurous water provided by local boreholes. Almost one-third of their monthly income went into this expense. ‘’When we came first to As-Salamiah, we only had hot water which has a distinct rotten egg smell, but since this unit starts to operate the situation became better, drinking water reaches our house once a week,’’ said Kousay. Marwan*, 12, was displaced from Al-Hassakah when the Syrian government lost control of large areas of the city to ISIS in 2015 and now lives with his father, mother and four brothers and sisters in Rural Salamiyah. Their family is relatively lucky, as the father is still around and can support them. “We found a small house with no furniture in Salamiyah, and my father works in a nearby factory,” said Marwan. 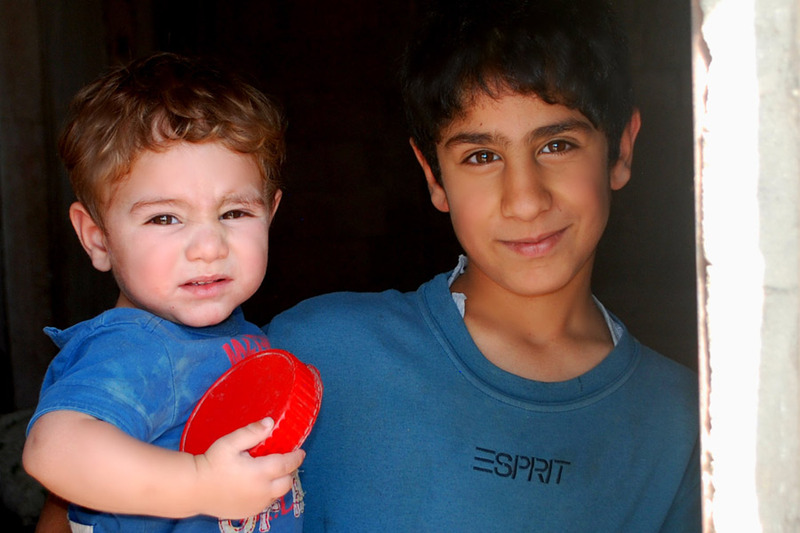 At first, Marwan’s family had to rely on trucked drinking water, which they needed to buy twice a week. Now, they can rely on the clean water provided by the Oxfam system. Hundreds of thousands of people are living in desperate conditions and exposed to continuing violence inside Syria. Today, half the pre-conflict population of 22 million Syrians have fled their homes and more than 13.5 million people urgently need your help. We provided clean water to more than 1.5 million people from 10 governorates and are working on public health promotion, solid waste management, and supporting livelihoods. We are also distributing hygiene kits, water bottles, blankets and floor mats, and installing latrines and water tanks. This Oxfam’s research revealed that most Syrian and Palestine refugees from Syria interviewed do not consider that they have found complete safety and protection in Lebanon. The international community and host governments should support them in the present and in the future.